Years ago, when my husband, Adriaan, worked together with Japanese companies and I went with him to Japan for the first time, I told him that whenever our boys would leave the house, I would move to Japan with him instantly. Such a beautiful serene country. We both felt very much at ease and kind of home. Hard to explain this feeling. And the people are wonderful. You can feel safe in this country. Also, I am a ceramic artist and so Japan has a special interest for me, because it has such a rich history in ceramics. And then the moment came when my husband started a Japanese company and had to be in Japan, in the US and in Holland, our native country. Then our youngest started college and time for the preparations came. I quit all my jobs in my ceramic organizations and went a couple of times with my husband to Japan to check things out. In Tokyo, where the company is, I went around with a friend, Toshie, and a real estate agent to check out apartments. They were nice apartments, but quite expensive. Already, we had been to Kamakura a couple of times. It really attracted us. I met with some potters in Kamakura with our friend, Stuart, and in Tokyo I checked out some pottery clubs with my friend, Etsuko: “tougei” schools. I went to Mashiko and met with Lee, a potter and his wife, Jean, a teacher woodblock printer. 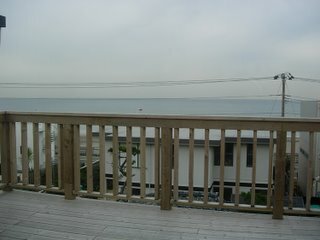 End of January we found a place for rent close to the beach in Kamakura with Stuart’s help. Kamakura is the wonderful, historical, ancient, shogun capital city with lots of shrines and beautiful nature. And you can go every where on your bicycle. Like when I was young. My parents didn’t own a car until they moved to Canada at age 67 after my Dad’s retirement. So, I feel completely fine and go grocery shopping on my bicycle or I walk where I have to go. (Although our friends have a car and they took us to Costco!!!! for grocery shopping). Last week, we furnished our apartment with Stuart’s and his wife, Juli’s help. First of all they have a car and second, they speak and read the Japanese language. Very helpful!!! We needed a washing machine, refrigerator, vacuum cleaner, drawers, dry rack and lots of other things and we filled up the minivan. The house is newly built and surrounded by old and new houses. The house is not directly on a street; a path connects the house to the street and there is no parking for a car. No problem for us, because we have our bicycles. It has 3 floors. The first floor has the bathroom and a bedroom. 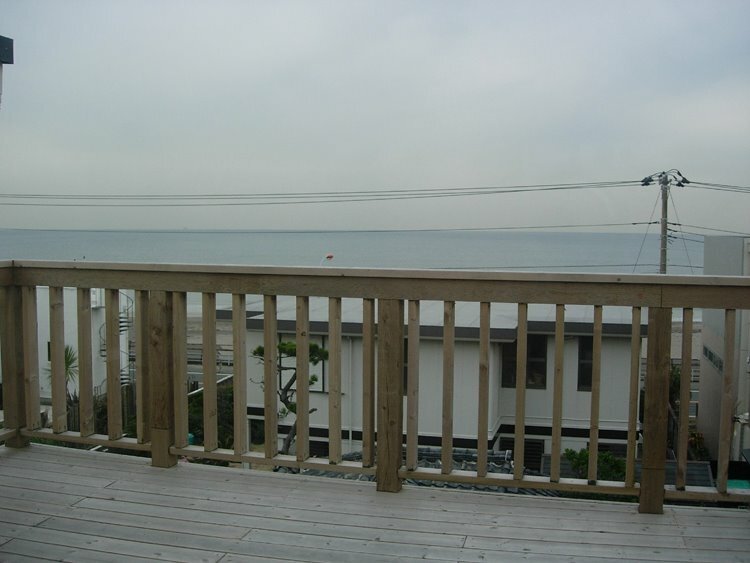 The 2nd floor has the living room and the kitchen and the 3rd floor is another bedroom with a balcony and view over the beach and ocean. So, we live on the 3rd floor! If the sky is clear, we even can see Mount Fuji. A funny thing: it is still quite cold and so, in the morning, when you get up and the house is cold, you go to the restroom and then you go sit down on a warm toiletseat!!! A wonderful way to wake up. What a luxury! A lot of toilets have that feature, also in public places. Then of course we are quite tall. My husband has to duck often and some chairs are so small and the tables low. Can you imagine when my youngest son comes to visit. He is 6’11” tall!!! We feel very fortunate to be here and lucky to have found this place! Now, I’m back home in the US and will go next week to a ceramic conference, NCECA, in Portland. Then I will prepare for a 3D group show for the Gallery House, a cooperative of which I’m a member. After that I will return in April and will continue the story of my Japanese experiences. Until then!